Scott Oldford has been a million dollars up and down. 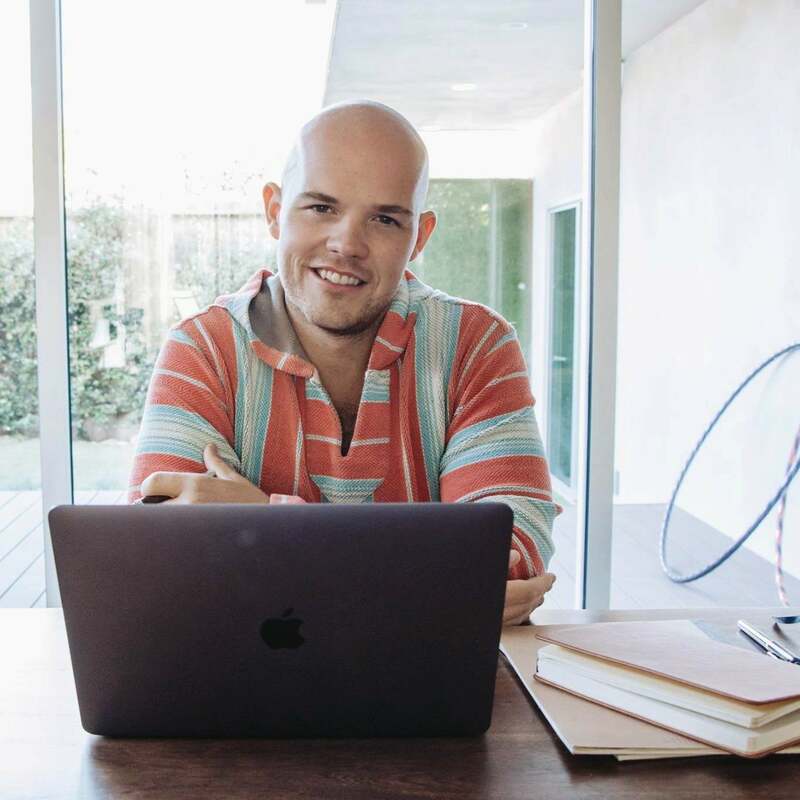 In just a few years, he created a seven-figure business to get himself out of six-figure debt. Then he quit it all to serve a higher purpose, relearning who he was, and finding the love of his life along the way. Oldford owned multiple companies by 19-years-old. But despite his wild success, he suffered a major setback at age 21 which put him almost a million dollars in debt. Oldford clawed himself out by building several businesses using his secret sauce: online lead generation. Oldford’s business was earning $300,000 to $400,000 per month. He taught his methodology to other six- and seven-figure entrepreneurs via information products and one-on-one coaching. From the outside, he’d found his sweet spot—he had skills that people were willing to pay a premium for. Yet he was deeply unfulfilled, often working 80-hour weeks and choosing money over freedom. 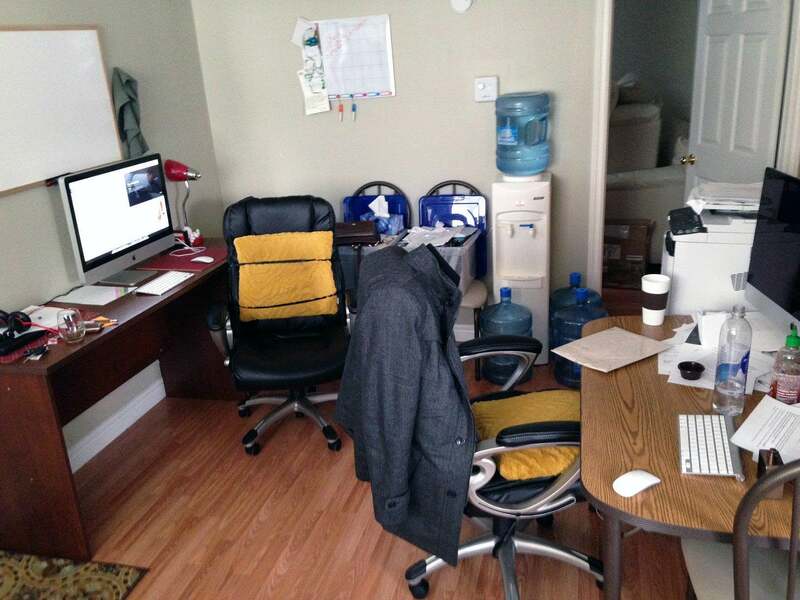 Oldford's Toronto office as he clawed his way out of nearly a million dollars of debt. Then Oldford attended The Baby Bathwater Institute in September 2017. “Have you ever had a moment that changed everything and your entire world flipped on its head?” he says. “That’s what happened to me that weekend after hanging out with other brilliant entrepreneurs. Oldford, just before he blew up his seven-figure business. Oldford told his COO to shut down the company. Four days later, he left Toronto to become a digital nomad and never returned. 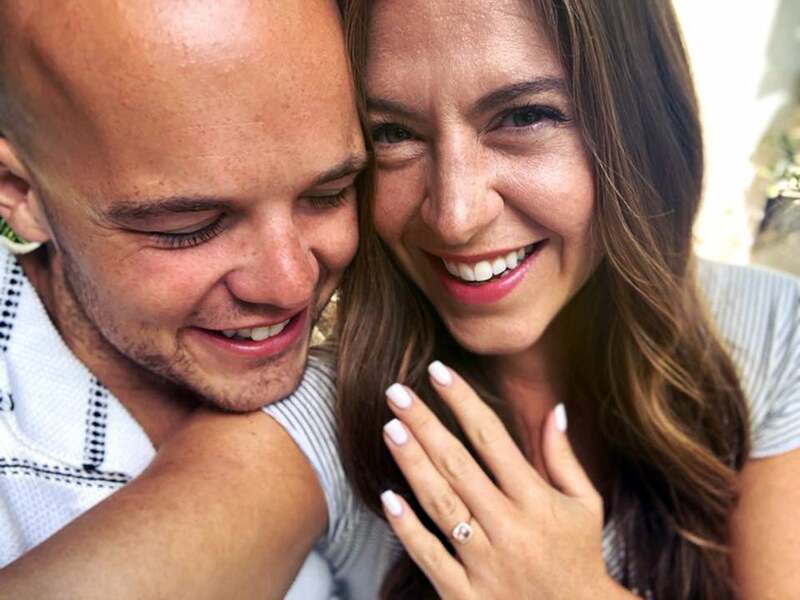 Three weeks later, he met his future wife. From falling in love to self-love. Libby Crow was an entrepreneur who was introduced to Oldford’s work through a friend. After connecting, they ended up in Venice Beach, Calif., together. Oldford and his wife, Libby Crow. Oldford says that up until this point, he didn’t know how to love himself so measured his self-love against his business accomplishments. “Libby helped me see that my worth was tied to who I was, not what I did,” he says. Shortly after meeting Crow, Oldford was living in Malibu, Calif. Each day, he jumped into his rented white Audi R8 for a drive in the mountains with no phone, music, or destination. “I had the headspace and time to reflect. For the first time in my life, I was a human being after years of human doing.” Oldford then realized the problem with entrepreneurship. In early 2018, Oldford started attending 10 hours of weekly therapy to “relearn who the hell I am.” He jokes that his therapist is the cheapest of the many mentors and coaches he’s hired. “Maybe we don't have an identity,” Oldford says. “We create one at some point, assume the identity and play an alter ego. I don't know if we’re ever truly ourselves. “We have so much going on in our heads but no idea what’s going on! We become entrepreneurs because of our ego and drive for significance. Many subconscious thought patterns stunted my growth, like tying my identity to business success and feeling unworthy when I failed. 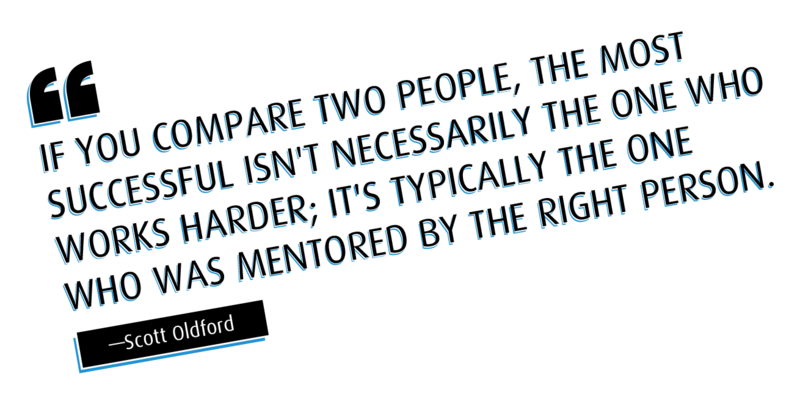 Oldford had discovered his purpose: Empowering others who have a massive purpose so they can accomplish it. For Oldford, helping other entrepreneurs starts by teaching and helping them implement the ROI Method. It’s about being Relevant, Omnipresent, and Intimate (ROI) with your target audience. He wrote an article about the methodology—“How to Become the Coca-Cola of Your Industry Practically Overnight”—and it blew up. “Online marketing has always been one dimensional; most just go for the kill,” Oldford says. The ROI Method is about providing long-term value with “micro content” and works on any digital platform. 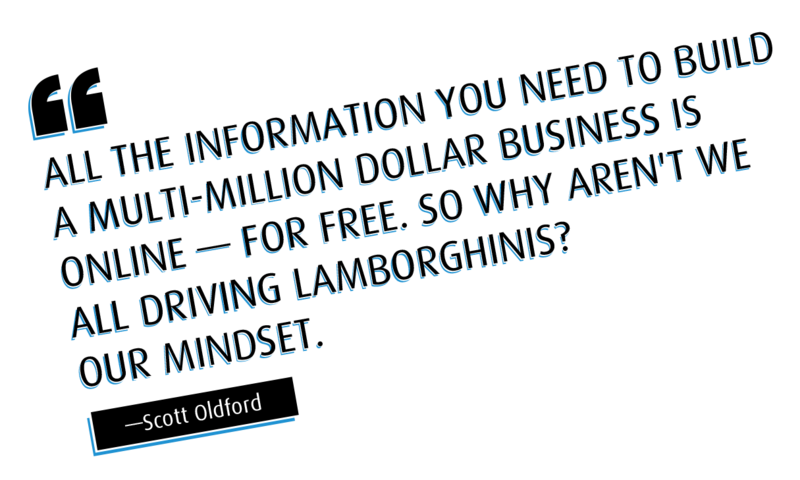 Oldford's ROI Method has helped over 150 entrepreneurs scale past seven figures since 2015. “Relevancy starts with the right message to the right person. Show your audience that you understand their problem and that you can take them from where they are to where they want to be. Over time, you can change their beliefs. “With the right timing and frequency, you can activate the ‘frequency illusion’ where people feel like they see you everywhere. We’re all in our online bubbles. You can ethically become a celebrity to a thousand people; the big fish in a small pond—that’s omnipresence. With this battle-tested method, Oldford has helped over 150 entrepreneurs scale past seven figures since 2015, and more than half of them have exceeded multiple seven figures. He says it improves retention, referrals, engagement, and how much you can charge—thus building wealth, influence, and fame. Oldford redesigned his business, starting with hiring serial entrepreneur Zion Kim as CEO to scale his operations. In March 2018, they launched Project Nuclear, a business accelerator that helps entrepreneurs who are generating $50,000 to $250,000 a month and scale far past that. The inner circle of over 70 elite entrepreneurs includes social media superstar Amanda Bucci, publishing titan Tucker Max, personal freedom coach Preston Smiles, Todd Herman, creator of the 90 Day Year and Gerard Adams, who co-founded EliteDaily.com before selling it to a multi-billion global corporation. Project Nuclear’s mission is to solve the problems of the entrepreneur so they can solve the problems of the world. The program attracts those who are successful but remain “blissfully dissatisfied” because they want to accomplish a higher purpose. It also helps members eliminate the self-sabotaging thoughts that plagued Oldford’s early career and led to his debt crisis. Project Nuclear is on track to generate $1 million monthly recurring revenue before winter 2018 and projects that it will be responsible for helping create over $400 million in revenue for those in the program by the end of 2018. “No one has ever done this before: create a growth accelerator with full operational support—from strategy to leadership, sales, and finance—to scale high-six-figure and seven figure businesses to eight figures so quickly,” Oldford says. Most high-growth companies are around 20 percent annual revenue growth, according to the Kauffman Index. What worked before won’t take your business to the next level, he says. Oldford at home in Venice Beach, Calif. Since reconnecting with his purpose and scaling his team, Oldford is more successful than ever. He learned the hard way that being wildly successful doesn’t mean anything if you sacrifice your soul along the way. These days, he has an open calendar, is eating more intuitively, and has lost 40 pounds in six months. His skin is brighter. 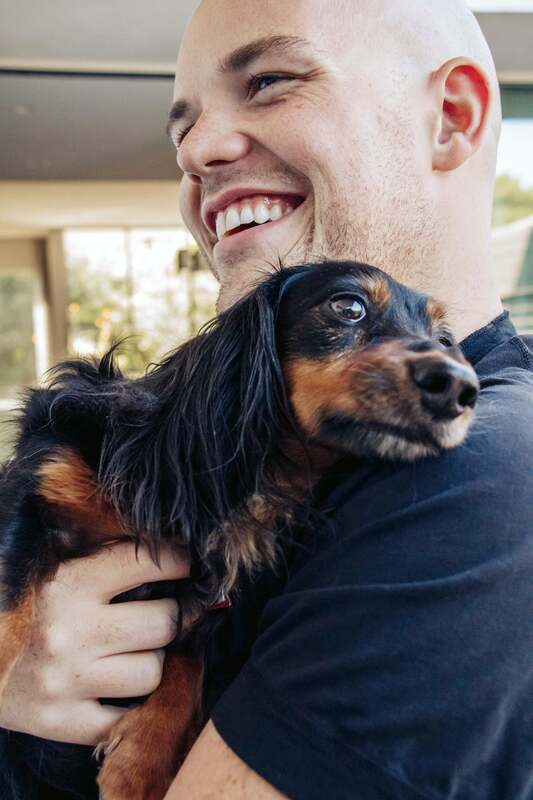 His eyes sparkle when they connect with Libby’s at their home in Venice Beach. Together, they created The Daily Shift to close the entrepreneurial mindset gap. Oldford and Crow who are business and life partners. With a new book on the horizon in 2019—called “The Nuclear Effect”—the future is bright. 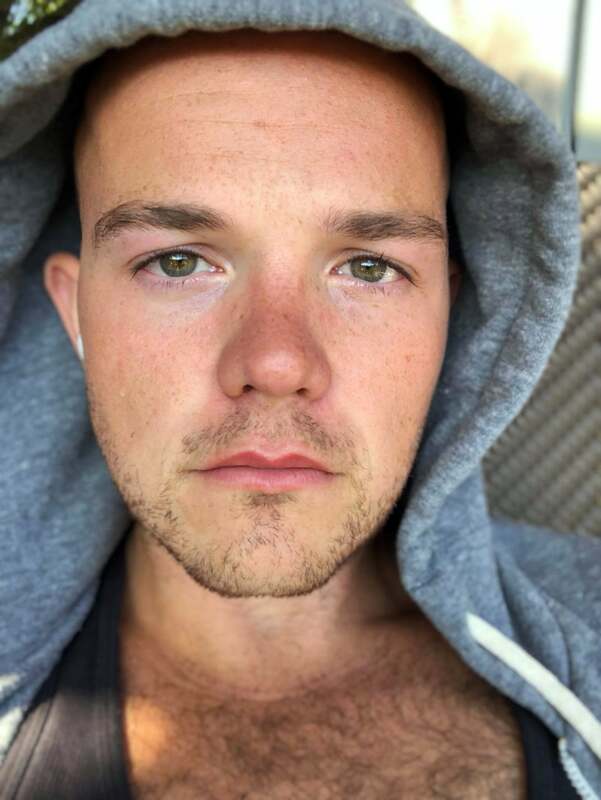 Connect with Scott on his website, Facebook and Instagram. Apply to implement the R.O.I Method in your business here.